Man City boss Pep Guardiola has offered a supportive message to long-time rival Jose Mourinho after he was sacked by Man Utd on Tuesday. 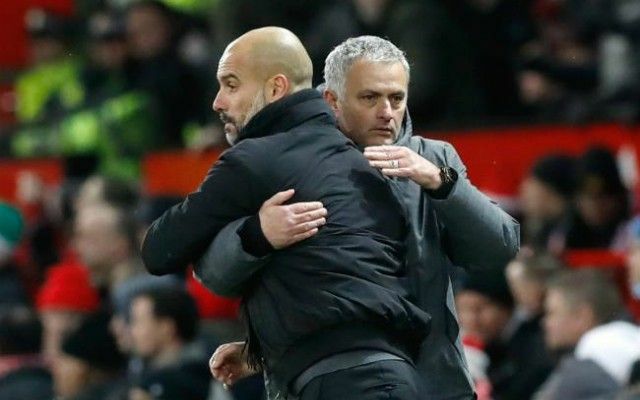 The pair have undoubtedly clashed over the years, particularly during their time in Spain together with Guardiola in charge at Barcelona while Mourinho was at the helm at Real Madrid. There seemed to be a more amicable relationship after locking horns in Manchester again, and that is reflected in the Spanish tactician’s comments below as he conceded that he was sad to see a fellow manager lose his job. “When it happens I am sad for the managers,” Guardiola told Sky Sports. “When the situation is not good, we are alone. I am close with all of them. In football it happens, but when the results are not good you can be sacked. Time will tell if Mourinho does opt for a quick return to football and where they might be, but after arguably having his approach and tactics exposed at Man Utd, there might not be a queue of officials from the top clubs trying to appoint him. United sit 11 points adrift of the top four in the Premier League, while they are 19 points behind league leaders Liverpool. While the likes of Guardiola and Jurgen Klopp have gained results and widespread praise with a more progressive, pro-active and attacking style of play, Mourinho was constantly criticised for his perceived more negative approach which relied on a solid defensive basis, something he didn’t have at Old Trafford. In turn, with those question marks hovering over him now for some, time will tell where he goes next but Guardiola was classy in his response and perhaps will even miss the level of intensity and competition that a rival like Mourinho gives him to constantly drive him to be the best.